Welcome to ElasticSteel Method of Athletic Conditioning - your key to spectacular flexibility, tremendous strength and great looking physique. Extreme Strength, High Kicks and Flexibility Conditioning through Proper Stretching Techniques! A knee injury is a very common injury among martial arts practitioners. 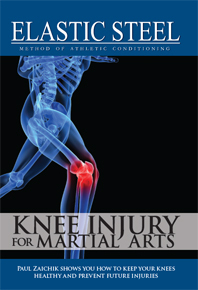 Knee injury for Martial Arts DVD addresses the cause of your injury and teaches you how to prevent future injuries. For more information on how to finally get rid of the pain in your knees, learn the reason you got the injury and know how to prevent it from ever happening again, please click here. Knee injury for Martial Arts DVD takes your injury apart, allowing you to understand it and correct it once and for all, to minimize the chance of it ever happening again. ElasticSteel Warrior Strategy is about achieving complete dominance over your opponent by mastering the control and awareness of your own body; about knowing what to do in any situation, against any type of opponent. It's about being able to actually carry out your plan, learning, mastering and picking the best mental strategy. It's about having the physical attributes to carry out this tactic; and finally about combining the right strategy and physical ability to make magic. Any Martial Arts Master will teach you how to kick or punch, but almost no one will teach you how to win, how to get those kicks and punches to your target, while easily making sure your opponent is defenseless against you. Front Kick and RoundHouse Kick DVD Series! as well as the Kicking series. I have to say the are fabulous! A huge treasure of information. 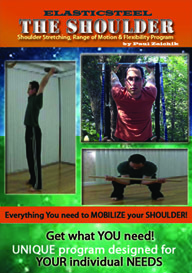 Extreme STRENGTH and FLEXIBILITY can now be YOURS! 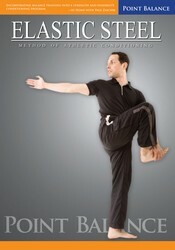 Everything You Ever Wanted To Know About Splits and Flexibility DVD! ON SALE NOW! FREE RESISTANCE BAND WITH THIS DVD!! 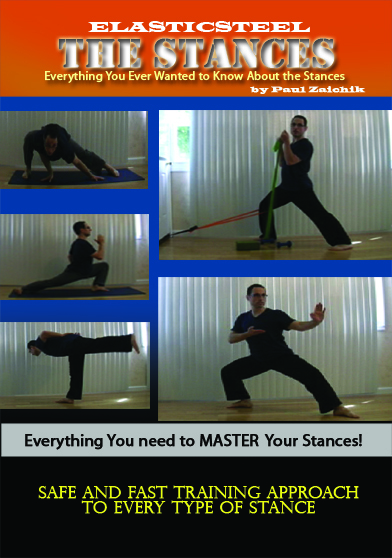 Combining years of research and experimentation Paul Zaichik brings his best selling Strength & Flexibility Book to life! Everything you need to know is compiled in this incredible 2 hour, information packed DVD. Simple and straight forward, with easy to understand precise instructions and follow along routines that you can do from the comforts of your home. Learn how to make your life long dream of doing a full front split, side split and true front split come true! Click here for more information about this DVD. Are you still among the minority of the athletes, who are ignorant about what grappling specific flexibility can do for your game? Let me show you how to GET RID of BACK PAIN in less than 15 MINUTES a day! In this video I'll take you through a great workout aimed at improving your lower back health. All the muscles surrounding your lumbar are properly stretched and strengthened. 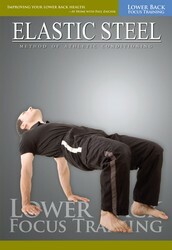 This leads to equilibrium and safe positioning for your lower spine. Let me demystify the reasoning behind yoga blocks and straps, and show you how to make Yoga exercises comfortable and enjoyable using props! Many people find yoga difficult due to lack of strength or flexibility to do the postures. Yoga props can make everyone's yoga session relaxing and enjoyable. Follow along with Paul Zaichik as he teaches you how use simple strap and blocks to get the benefits of yoga, regardless of your strength & flexibility level. Click here for more information. TAKE YOUR AND YOUR STUDENTS FLEXIBILITY TRAINING TO THE NEXT LEVEL! CLICK HERE TO LEARN MORE! NOTE: IF YOU LOSE YOUR FILES AFTER YOU PURCHASE THEM IN DIGITAL FORM, DO NOT WORRY, JUST CONTACT US AND WE WILL GRANT YOU ACCESS TO DOWNLOAD THESE VIDEOS AGAIN. SO DO NOT BE AFRAID TO PURCHASE DIGITAL FILES IN FEAR OF LOSING THEM (COMPUTER CRASH, ETC.) WE WILL ALWAYS REPLACE THEM FOR YOU. THANK YOU. LEVEL 3 HAS BEEN RELEASED!!!!! LEVEL 2 ESKMS HAS BEEN RELEASED! 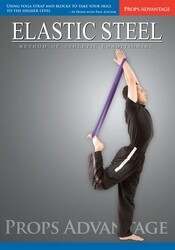 GET A FREE SPLITS BOOK WITH 1 FREE RESISTANCE BAND! Knee injury for Martial Arts DVD takes your injury apart, allowing you to understand it and correct it once and for all, to minimize the chance of it ever happening again. 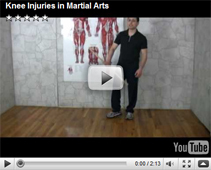 Knee injury for Martial Arts DVD provides you with exercises that come from my personal knowledge of kinesiology, biomechanics, research on published material and personal experience with martial artists and their injuries. Click here for more information! Do YOU want to get over the bar? Do YOU want to Rise to support on the rings? 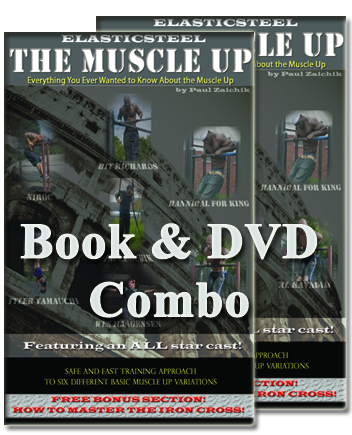 Do YOU want to master the Muscle Up? But don't have any idea where to begin? Don't worry; you've come to the right place. I've got exactly what you've been looking for! Click here for more information.